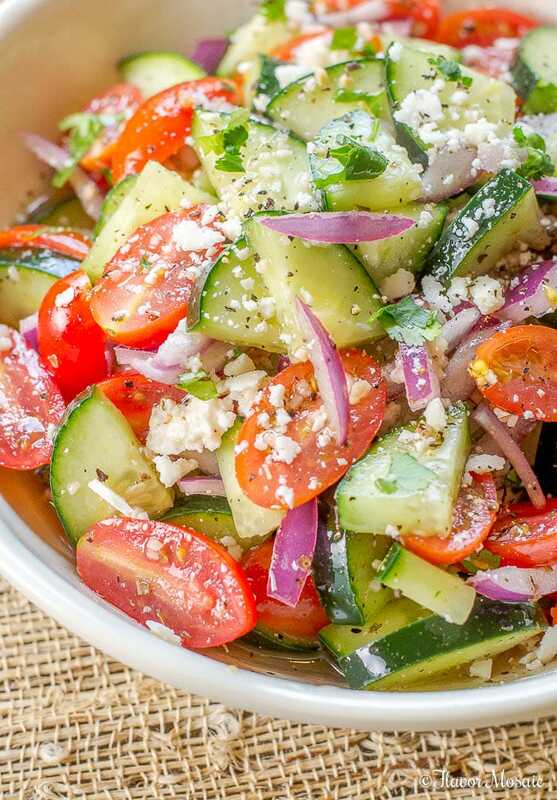 This Cucumber Tomato Salad with sliced cucumbers, fresh tomatoes, sliced red onions, in a red wine vinaigrette, includes a Mexican twist with the addition of crumbled cotija cheese, Mexican oregano, and chopped cilantro. 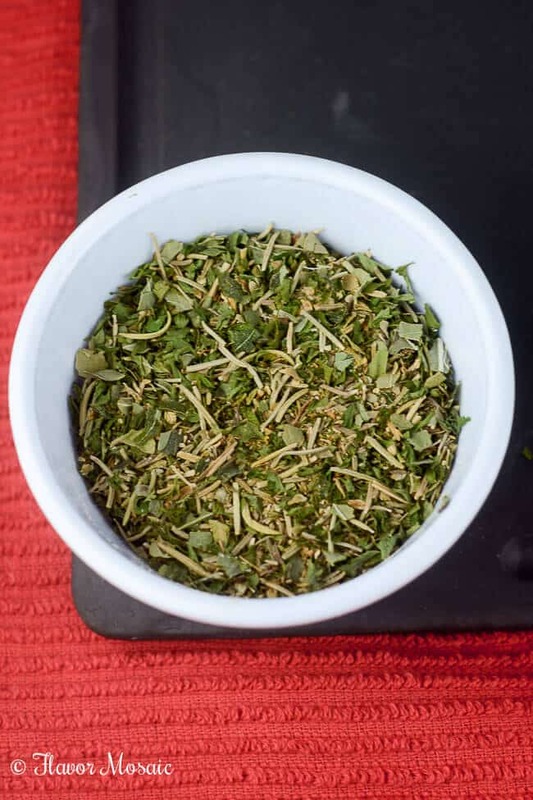 It makes a truly delicious and refreshing summer salad! 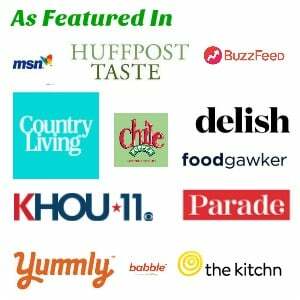 Why Is Cucumber Tomato Salad So Popular? In the summertime with barbecues and the hot weather, we really need a cool, refreshing summer salad, like this cucumber tomato salad with red onions. 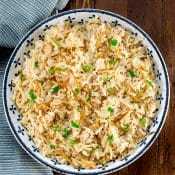 It pairs well with barbecue chicken, pasta salads or potato salads. Sometimes pasta salads or potato salads can be a bit heavy in the summer. However, there is nothing heavy in this light, refreshing Cucumber Tomato Salad. 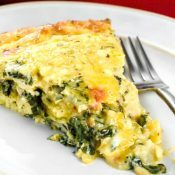 As a matter of fact, it is so light that it can fit into most of the healthy eating plans, especially if you omit the cotija cheese. Will This Cucumber Tomato Salad Fit Into my Healthy Diet Plan? No matter if you are gluten-free, Paleo, Whole30, Keto, Vegetarian or Vegan, this Cucumber Tomato Salad (if you leave off the cheese), fits into all the popular healthy diets. In addition to being nutritious, cucumbers have anti-oxidants and other health benefits. What Gives This Cucumber Tomato Salad Its Mexican Twist? You start out with a classic Cucumber Tomato Salad but then you add the Mexican ingredients? What are they? These three ingredients give a classic Cucumber Tomato Salad that flavor of Mexico. You could also add avocado to the ingredient list for an added Mexican flavor. 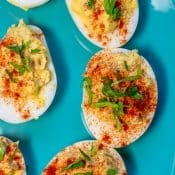 What Are Some Other Variations of Cucumber Tomato Salad? The variations of Cucumber Tomato Salad are only limited by your imagination! You could give it a Mediterranean twist by using these 3 ingredients instead of the Mexican ingredients above. For an Italian Variation of Cucumber Tomato Salad, you could use these 3 ingredients. What Ingredients Are In Cucumber Tomato Salad? 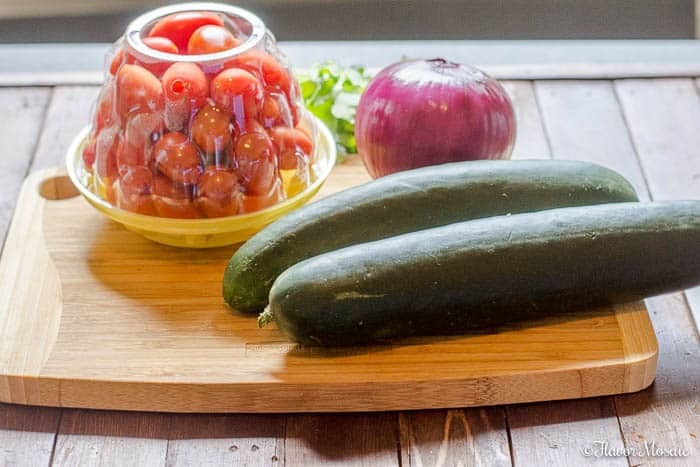 The classic Cucumber Tomato Salad includes a few fresh summer vegetables, including cucumbers, tomatoes, and sliced red onions. 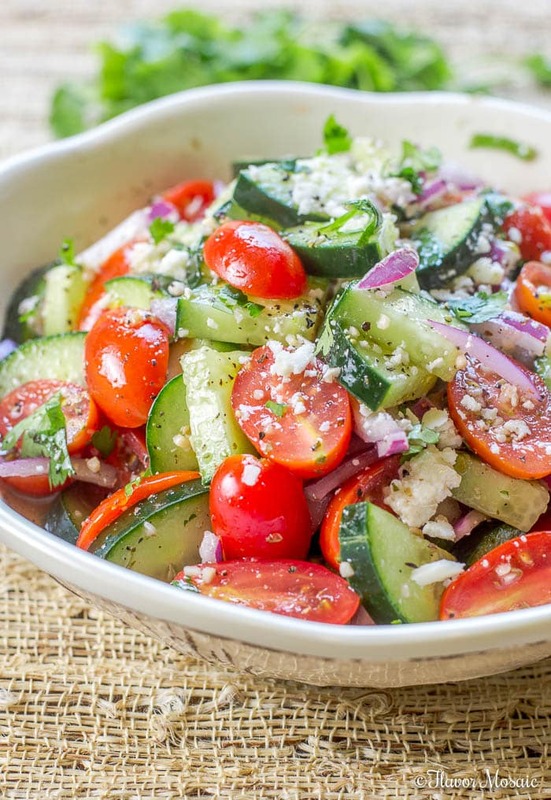 The fresh summer cucumbers and tomatoes make this salad taste delicious. Of course, you have to have the dressing to really give it that zesty, tangy flavor! How Do You Make The Dressing For the Cucumber Tomato Salad? This dressing for this Cucumber Tomato Salad is a classic vinaigrette. 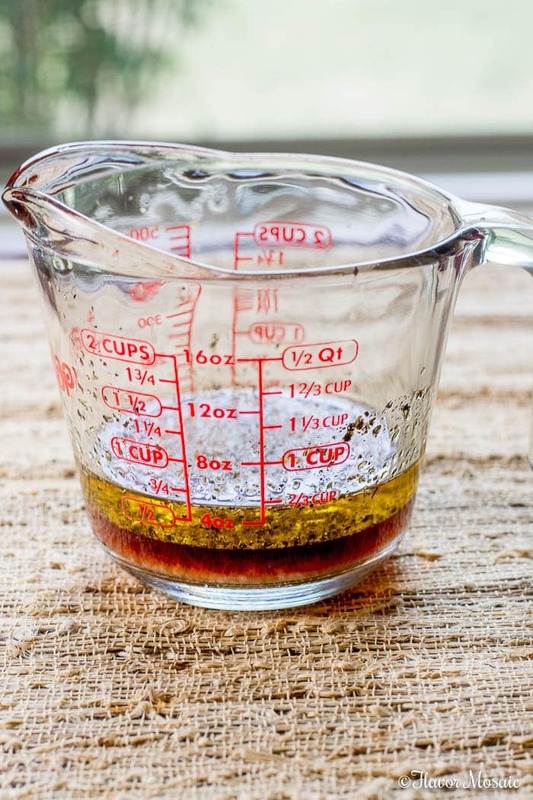 You can easily make the vinaigrette in less than 5 minutes with only a few ingredients. In a measuring cup or bowl, stir together the following ingredients. Yes, of course, you can use your favorite store-bought dressing or vinaigrette if you don’t want to make your own. Either one will work. How Do You Make The Cucumber Tomato Salad? 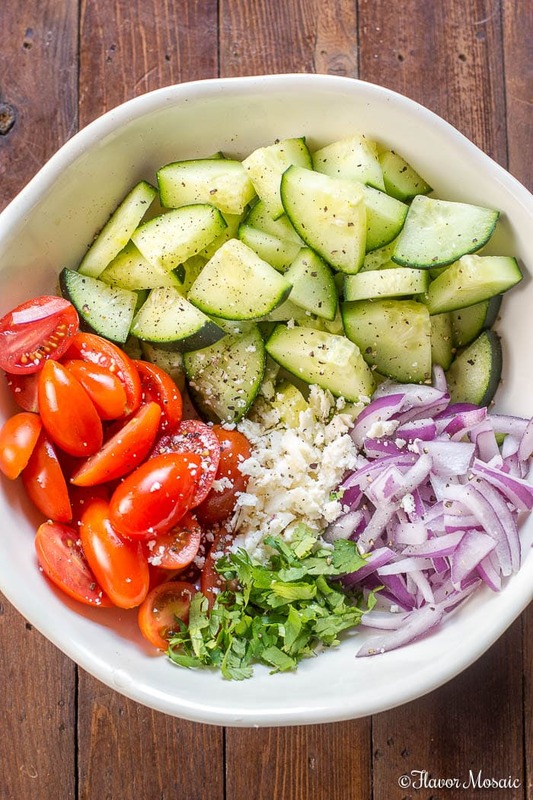 Chop the cucumbers, tomatoes, and onions and combine in a bowl. In a small bowl stir together the ingredients of the Dressing above and pour over the cucumbers, tomatoes, and onions. Add chopped cilantro and crumbled Cotija cheese and stir to combine. Then refrigerate until you are ready to serve. Easy Peasy! Use the freshest cucumbers, tomatoes, and onions you can find. In the summer, you should be able to find these fresh vegetables in the produce section of your local grocery store. 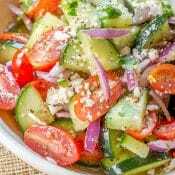 Make this Cucumber Tomato Salad ahead of time and let the cucumbers, tomatoes, and onions marinate in the vinaigrette until you are ready to serve. What Do I Serve With Cucumber Tomato Salad? This Cucumber Tomato Salad makes a refreshing side dish for any meal, really. However, I think it goes especially well with these other summer dishes. 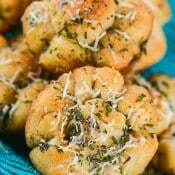 Below are some of my favorite summer recipes. 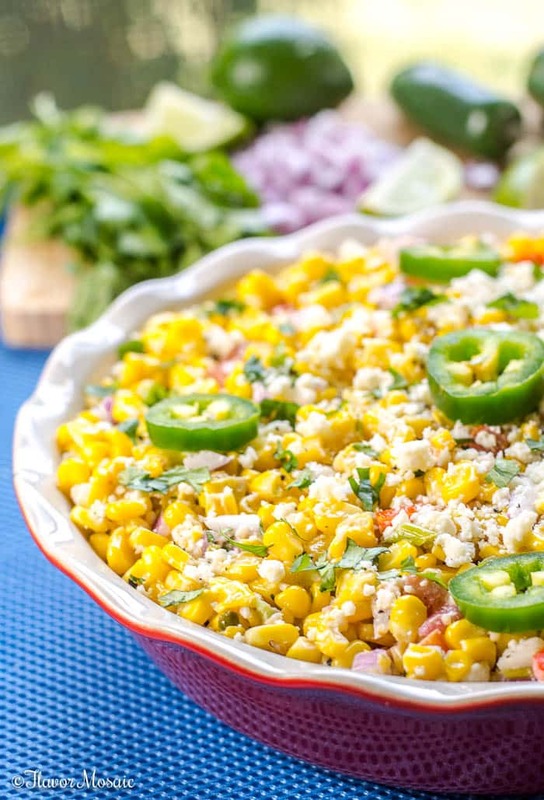 Mexican Street Corn Salad – Fresh summer corn (or frozen) in a delicious Mexican summer salad. Maple Chipotle Barbeque Pork Tenderloin – a wonderfully smoky, sweet, spicy, tangy, barbecue pork that is perfect for a summer barbeque or picnic. 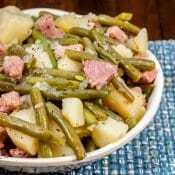 Green Bean Potato Salad with Sun-Dried Tomato Pesto – This easy gluten-free Green Bean Potato Salad with Sun-Dried Tomato Pesto makes an outstanding side dish to take to a summer picnic or potluck because it has no mayo and only 5 ingredients. When Do I Serve Cucumber Tomato Salad? Summer. This Cucumber Tomato Salad is best served in the summer when fresh tomatoes and cucumbers are available. Barbeques. Serve this Cucumber Tomato Salad as a cool, refreshing side dish to a hot, spicy barbecue main course. Picnics. 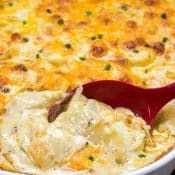 Serve at picnics or potlucks because it can be made in advance and refrigerated until you are ready to serve. Anytime. Serve this Cucumber Tomato Salad any time you need a cool, refreshing side dish. It is now your turn to make this delicious, cool Cucumber Tomato Salad with a Mexican Twist. Let me know for which occasion you served it and how you liked it! I look forward to hearing your feedback. Pin to Save for the future. In a medium bowl, add the tomatoes, cucumbers, and onions and toss. Sprinkle in the Cotia Cheese and Chopped cilantro. 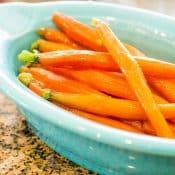 In a measuring cup or in a bowl, stir together the olive oil, red wine vinegar, minced garlic, Mexican oregano and salt and pepper. If desired, add sugar, otherwise, omit the sugar. Pour the vinaigrette over the cucumbers, tomatoes, and onions and let marinate. Love cucumber salad! 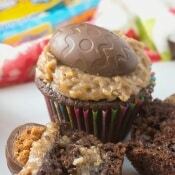 Definitely going to try this one! Hi Karly, I love cucumber salad too! I hope you like it!